The music of the Beatles was one of the biggest influences on pop and rock music in the 20th century. The names Paul McCartney, John Lennon, George Harrison, and Ringo Starr will forever be linked with their classic songs from "I Want to Hold Your Hand" to "Eleanor Rigby" and "Yesterday." Relive the 60s phenomenon of The Beatles' Dadaist, experimental music promoting peace and love. The Music Sales catalog of Beatles medleys includes arrangements by Andrew Jackman, Jeff Tyzik, Bruce Healey, Peter Mansfield, Eric Knight, and Francis Shaw. 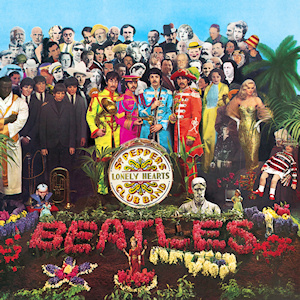 These works include such Beatles favorites as "Come Together", "Because", "Yesterday", "Strawberry Fields", "Sergeant Pepper's Lonely Hearts Club Band" and many more!